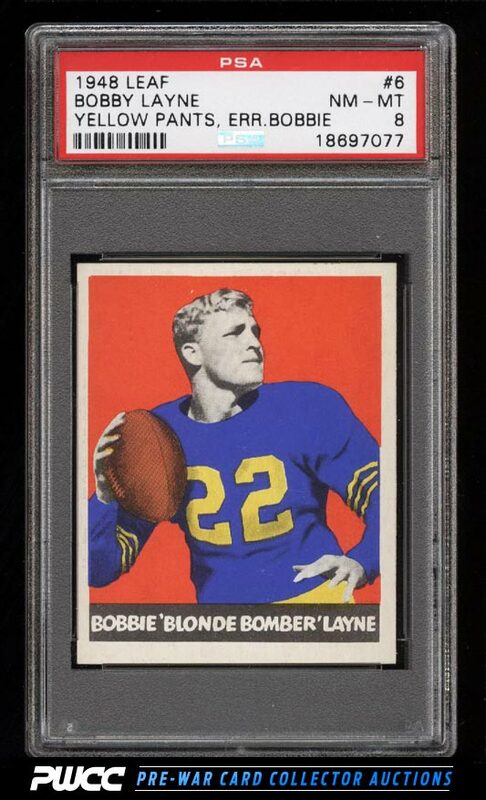 Stunning example of the Blond Bomber. An impossible rookie card to locate in high grade and the first PSA 8 we've had the pleasure of brokering in long history. A virtually MINT card stocked specimen boasting four flawless corners, chipless edges, and stunning print, worthy of a much higher grade. All told this one is a gem, impossible to improve upon, and comes with our highest recommendation. One of nearly 20,000 cards, lots, and sets up for bid in our 7th Auction of 2016. Click on the link above to view the other PWCC auction lots.